Home » Govt Jobs » Govt Jobs 2015 » Jobs for Library Trainee » Jobs in Cuttack » Jobs in National Law University Odisha. 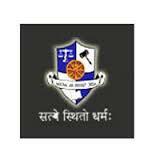 » Library Trainee jobs in National Law University Odisha in Cuttack. Library Trainee jobs in National Law University Odisha in Cuttack. Labels: Govt Jobs , Govt Jobs 2015 , Jobs for Library Trainee , Jobs in Cuttack , Jobs in National Law University Odisha.